The Daisies take to Berlin! Sunday was a day off for the band. They travelled from Copenhagen to Berlin. This is the second visit to this historic city this year for The Dead Daisies, as they were here in the summer touring with KISS. Monday nights show was at the Columbiahalle in front of a packed audience, however leading up to that, the band had a very busy promotional day ahead of them. 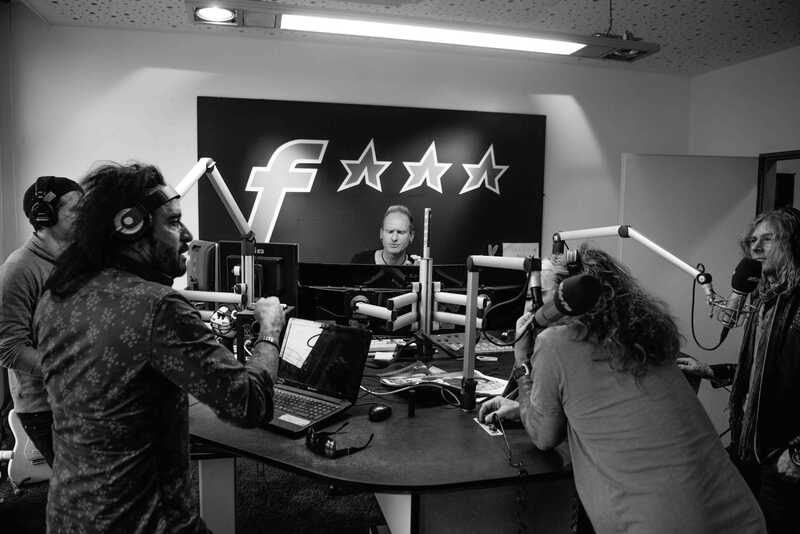 John and Marco had a number of press calls today starting with STAR FM in the early afternoon followed by another interview with Radio Fritz which would be recorded after the show. In addition, a film crew would follow the band around during their stay in Berlin. 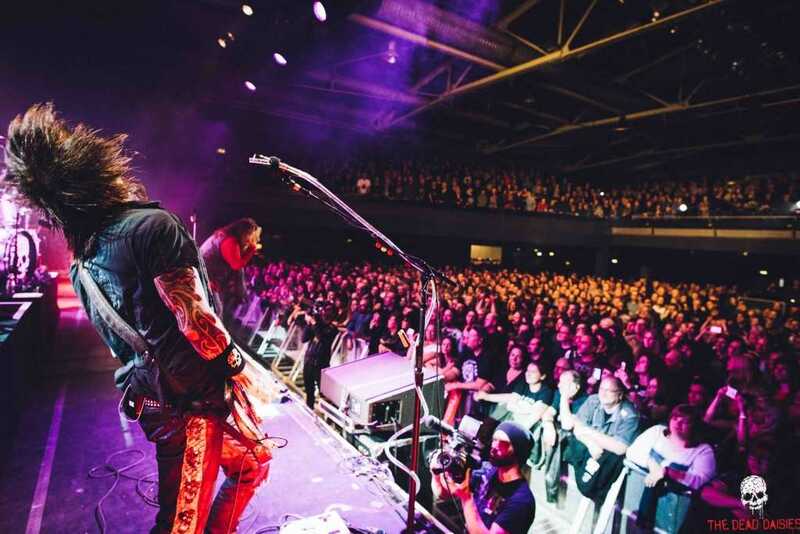 German audiences love their Classic rock music, and with the country being one of the biggest music markets outside the US, this is a potentially huge market for The Daisies. As soon as the band hit the stage they could do no wrong. Like the biggest circus coming to town, the thumping bass and drum rhythm section of Marco and Brian with the presence of lion tamers, supported some magical guitar work by Richard while David kept the all important underlying melody swing and jump like the most skilled trapeze artist throughout. Dizzy meanwhile can be the most amusing maestro with some of the darkest melodies you will ever hear, which is a reflection of his genius as he sends continuos swirls of of pure gold melody over the top of the music. John Corabi is the original showman, the rock ringmaster that wins attention from an audience that can’t wait to see whats next. Classic after Classic, they kept coming much to the audiences approval and delight. If the aim was only to win one fan, they not only achieved that but added another 3000 in the process.